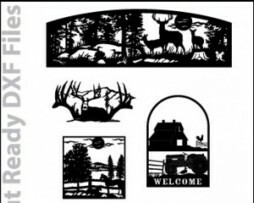 This Sign Templates DXF File download includes 76 individual DXF file Sign Template designs as well as a JPG file that can be printed and used for viewing. 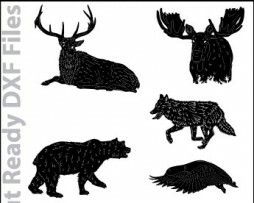 These Sign Template DXF files will range in size from 6″ x 16″ to 48″ x 60″ depending on the template. 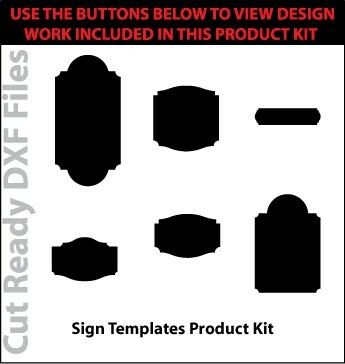 These templates will be a wonderful addition to your cut ready design work and will help with the creation of custom signs for yourself as well as your customers. Also, Sign Templates can be cut much smaller with CNC waterjet or laser cutting systems.